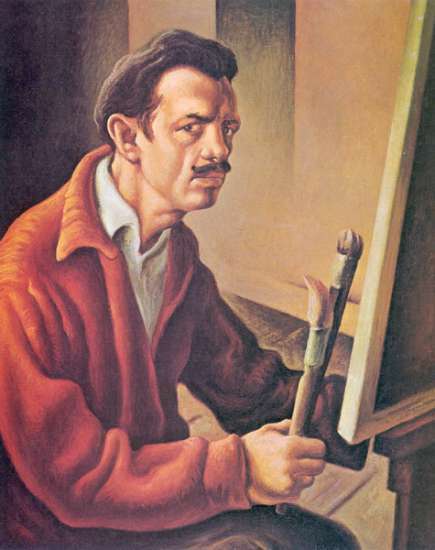 Most famous for his vivid, swirling paintings of Midwestern landscapes, farmers, and railroad workers, the regionalist American artist, Thomas Hart Benton, also did a few brief cameos as a movie poster illustrator. 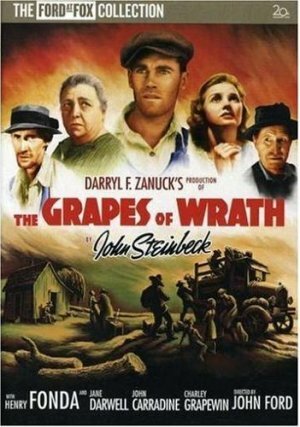 Though not nearly as bold or dramatic as his paintings, his takes on the John Ford classic, The Grapes of Wrath, and The Kentuckian, starring Burt Lancaster, clearly showcase his unique style. 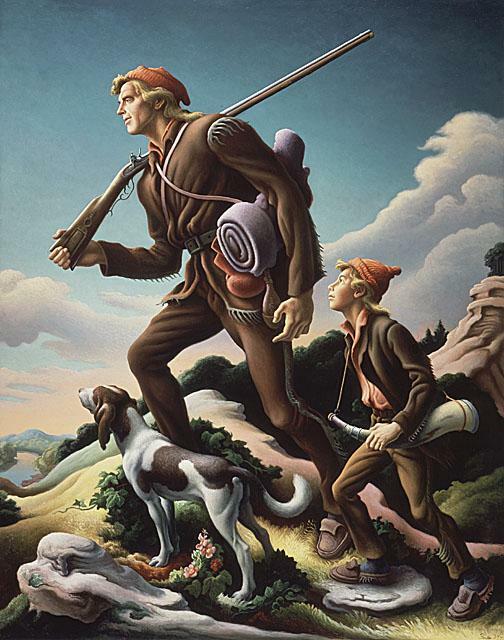 This entry was posted in 1940s posters, Artists & Illustrators, Westerns movie posters and tagged American painter, movie posters, regionalist, the grapes of wrath, the kentuckian, thomas hart benton by russ. Bookmark the permalink.